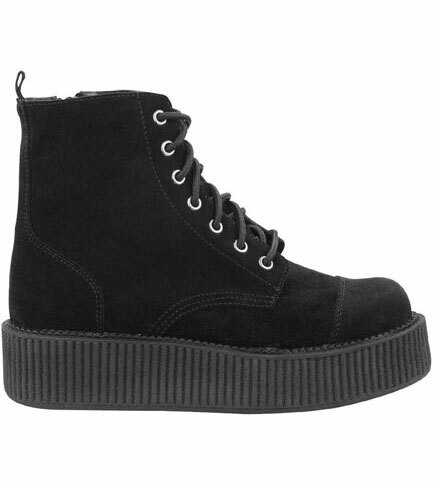 Black 7 eyelet suede creeper boots with mondo sole, 1.75 inch platform back 1.25 inch front and light weight. By TUK. 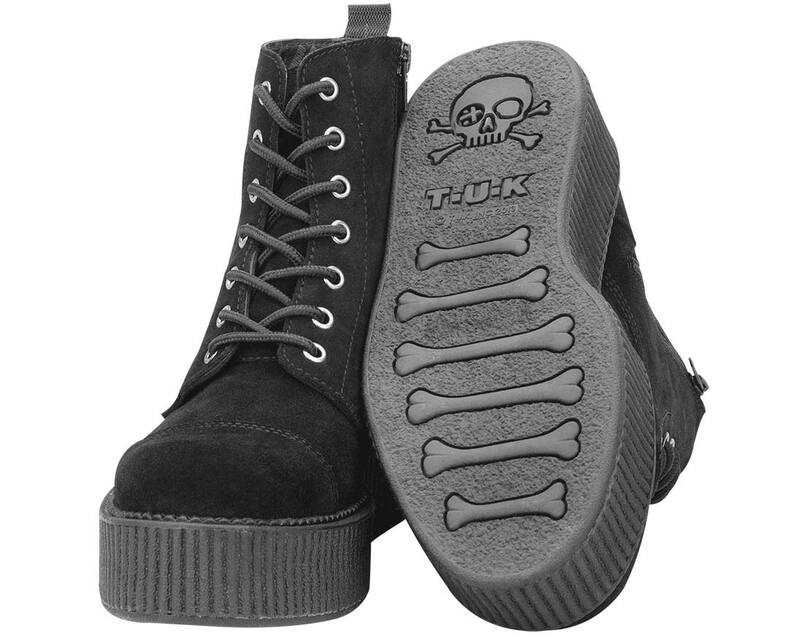 Single sole boots. Unisex style. 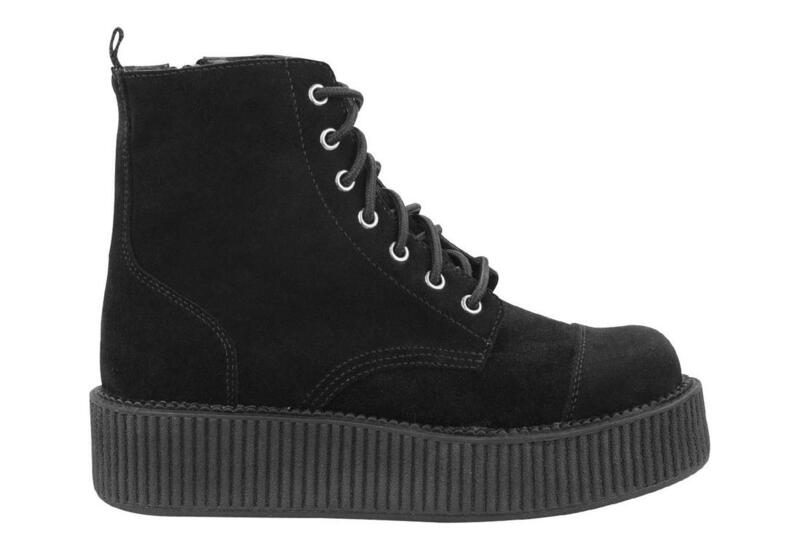 Lace up boots.